1.5.2 Merge Shadow Spear, Longswords and Hook Blades with Mutran, Bitil and Chirox respectively. 1.5.3 Don't merge Shadow Spear, Longswords and Hook Blades. For want of a better word, I'm making this section to nominate the deletion/merging of a bunch of pages, as mentioned in the toa hagah tools discussion. I figured instead of making a yes/no votes section, we could just have a running tally of each group of pages we want to condense. If you think of another set of pages you want to nominate, just add it as a subsection here and we can all vote. if the rakhshi staffs are an extension of their power, then the bohrok shields certainly are as well. for one thing, the staffs were something that they held in their hands and could be put down, but i don't think we've ever seen a bohrok put its shields down. afaiknew, they were part of the bohrok themselves, and not a separate tool. anyway, i don't think we need a page for these, we can just have a section on the bohrok article for them. Merge Shadow Spear, Longswords and Hook Blades with Mutran, Bitil and Chirox respectively. Don't merge Shadow Spear, Longswords and Hook Blades. "3. Does a piece of power reside within the Rahkshi themselves or is all their power in their staffs? For example, say Turahk and Guurahk switch staffs, would Turahk have the power of disintegration, or would it do nothing? " " No, the staffs are just to focus the power, like the Toa's tools are." No, I don't think so. 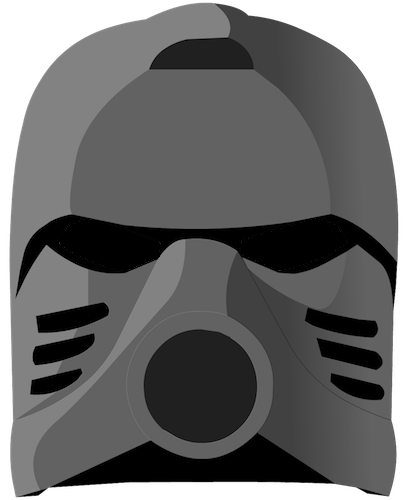 Kanohi Nuva are distinct masks. Or distinct upgrades of masks --Shadowfax!